The field of Music and Health focuses on the multi-faceted intersection of music and health through multi-disciplinary lenses. The core requirements are intended to establish breadth of understanding of the field by providing a cultural, neuroscience, social science, and applied perspective drawing on courses within the existing fields. 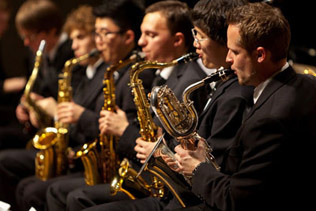 To expand the understanding and application of music in contexts of health, students in the Music and Health field are encouraged to pursue complimentary disciplinary studies such as neuroscience, psychology, rehabilitation science, including Collaborative Programs such as the programs with which the Faculty of Music is now associated, Collaborative Program in Neuroscience, the Collaborative Program in Aging, Palliative and Supportive Care across the Life Course, or the Collaborative Program in Musculoskeletal Science. As a field, music in health is diverse and students will be encouraged to specialize within the field. Music and health research, as currently being pursued in academic and clinical contexts around the world, can be categorized into the following areas: (1) music neuroscience – questions of how and where the brain processes sound and music; (2) music psychology – questions of perception, cognition, and response related to sound and music; (3) music and kinesiology – questions of motor control and response in relation to sound and music; (4) music medicine – how music and sound interact with health conditions at a physiological and neurological level, (5) music therapy – how music can mediate therapeutic intentions, (6) music in human development – how the “musical health” to function in society is developed, (7) music performance science – how elite performance ability can be developed and pursued in the healthiest manner, (8) musician’s health – how medical problems of performing artists can be treated, (9) the place of music in health in society and specific cultures – how music in conjunction with health is manifested and practiced in cultures around the world. In the University of Toronto, Faculty of Music these music and health themes are organized within the Music and Health Collaboratory. For more information please see MaHRC or contact Professor Michael Thaut. Because of the interdisciplinary multi-departmental nature of the field, students in the MA and PhD programs in Music and Health will be expected to work diligently with an advisor from the start to identify the most appropriate course content for their degree program. Advisors will attempt to facilitate the inter-departmental demands of course access.